Some of the leaves close to the branches are turning brown. Upon scratching the bark with my fingernail, it is very light yellow almost white. 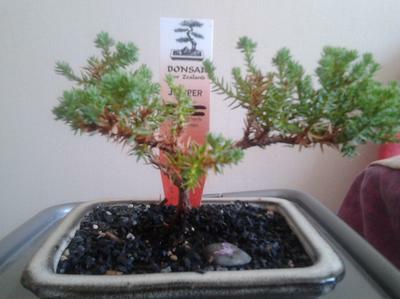 I received this juniper bonsai for Christmas. I fertilized early January, with a quarter cup of water every other day. It has a nice spot outside in full sun in the afternoon but protected from wind. I have trimmed the small roots today and returned to the same pot and soil. It looks a bit sad. What do I need to do to keep it from dying?